Scout is one special little guy! 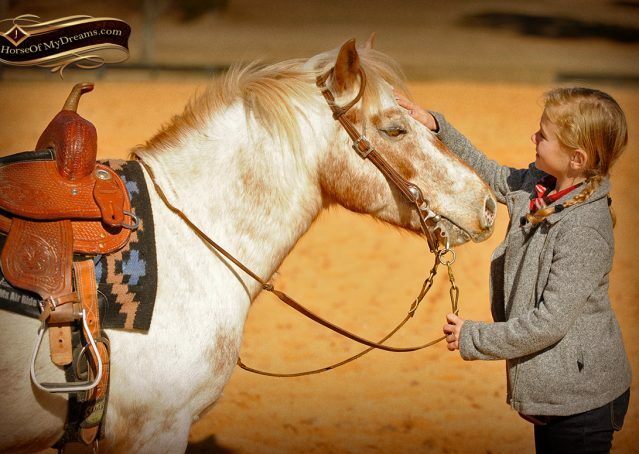 The kids love him, and he loves them! 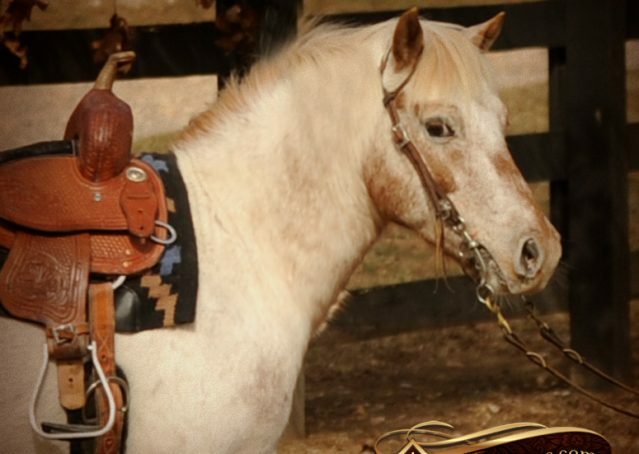 He rides around great, isn’t spooky at all. 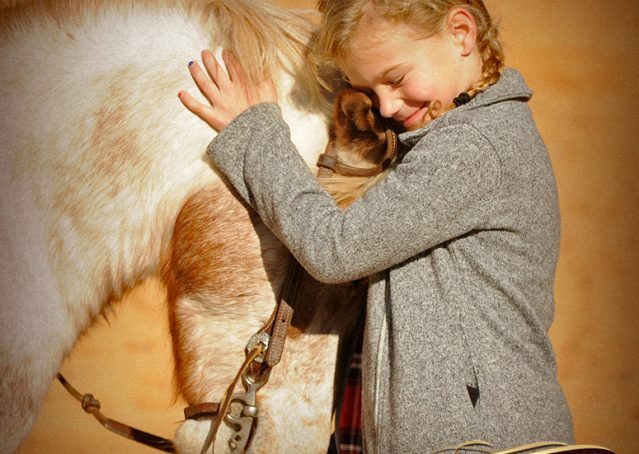 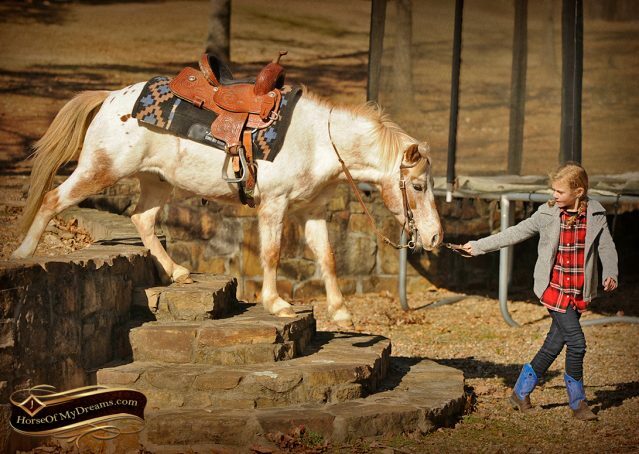 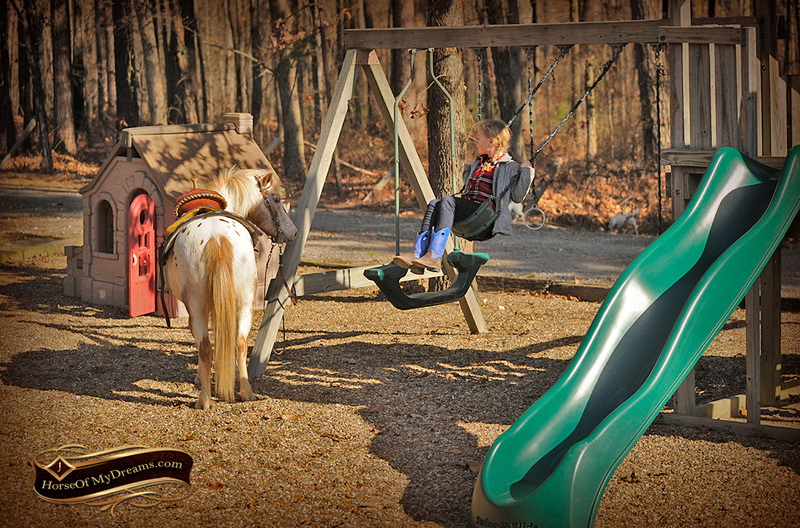 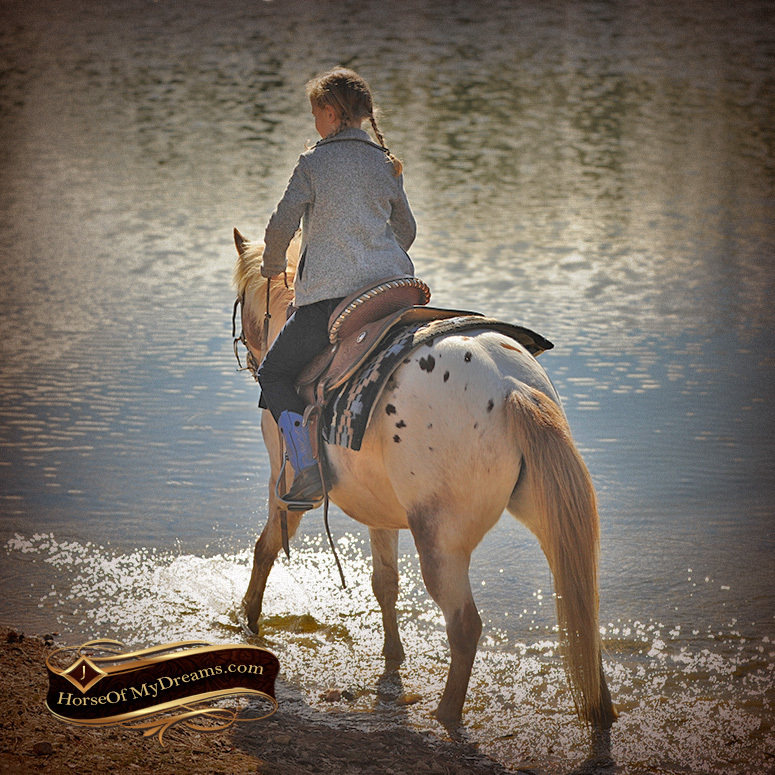 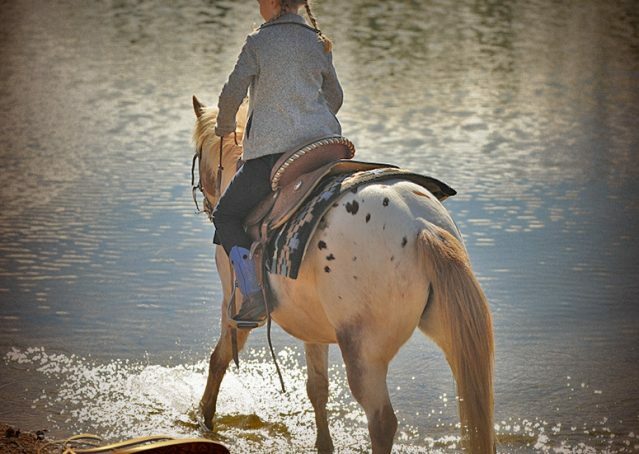 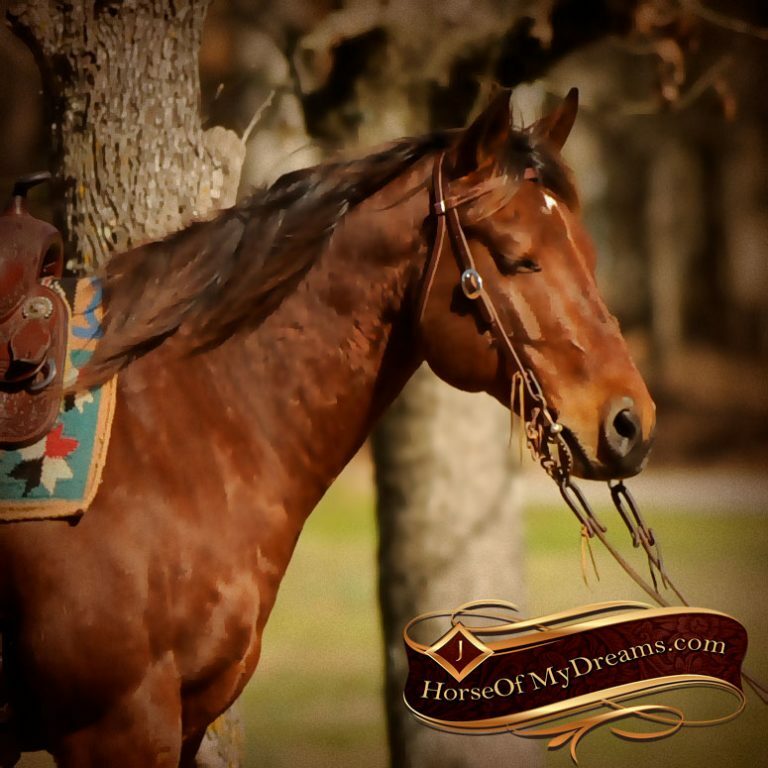 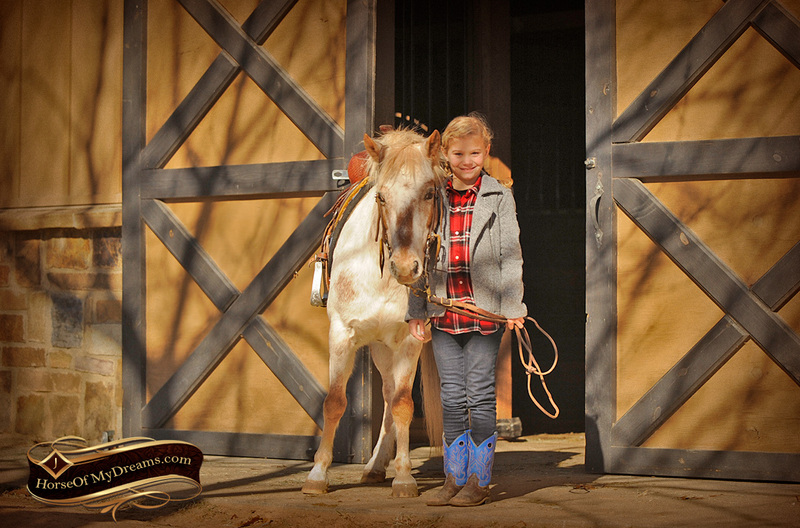 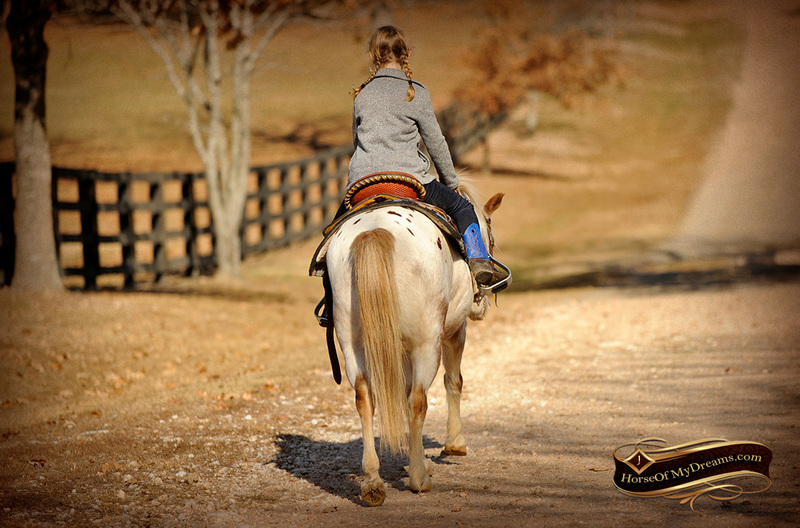 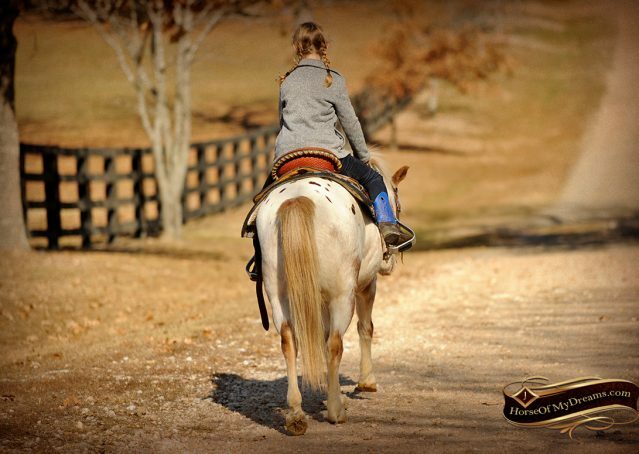 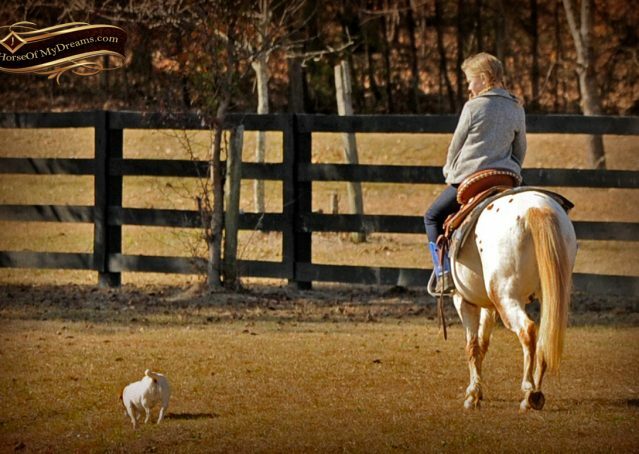 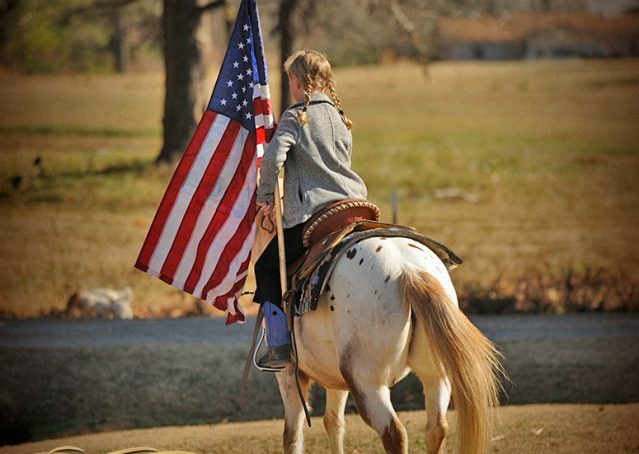 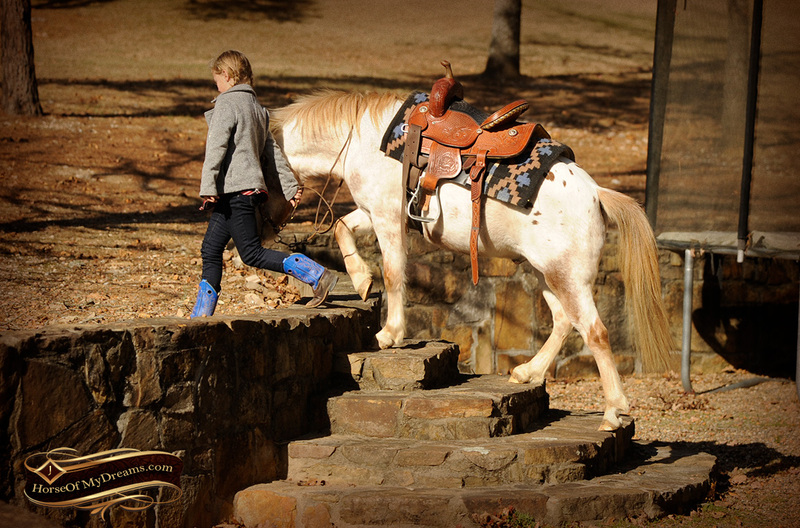 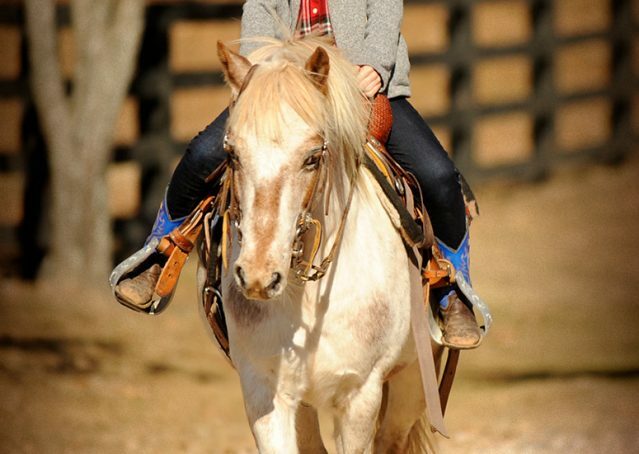 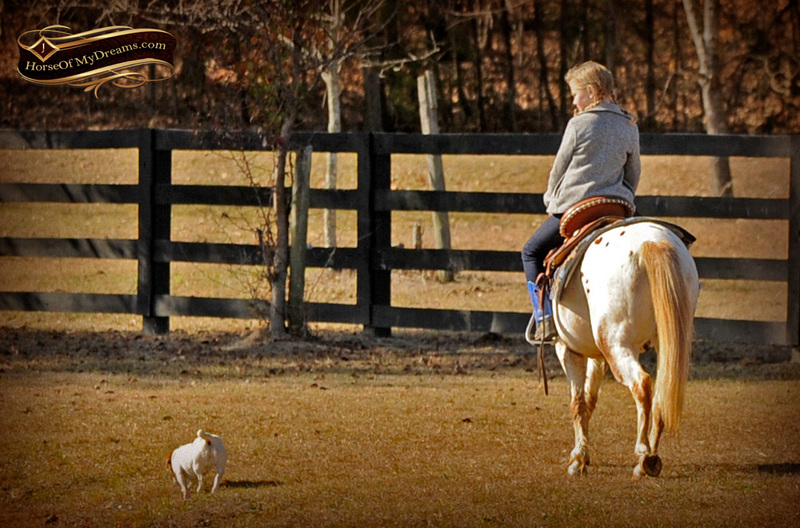 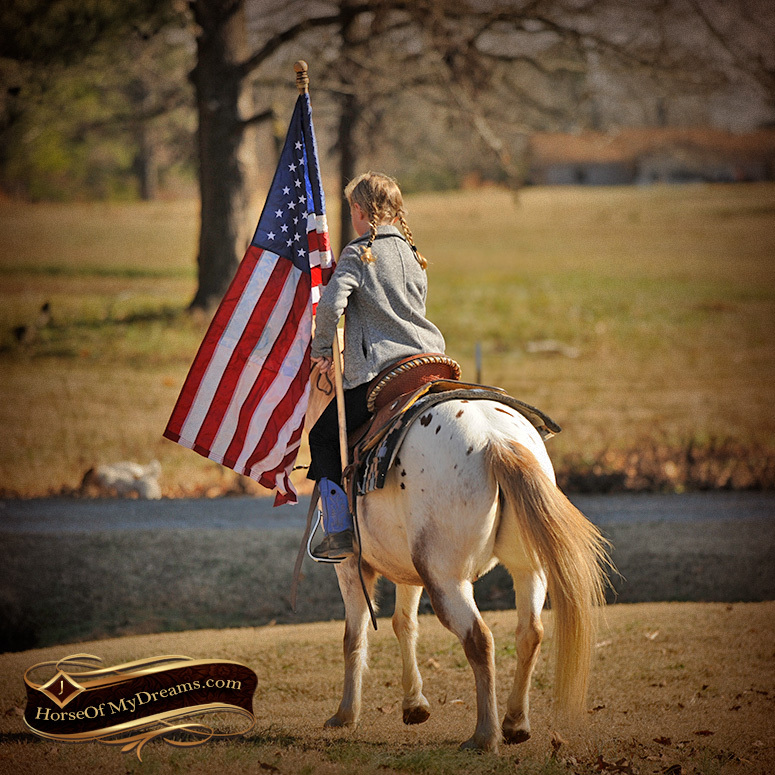 You can take him on the trails, to the rodeos, or just riding around the farm. 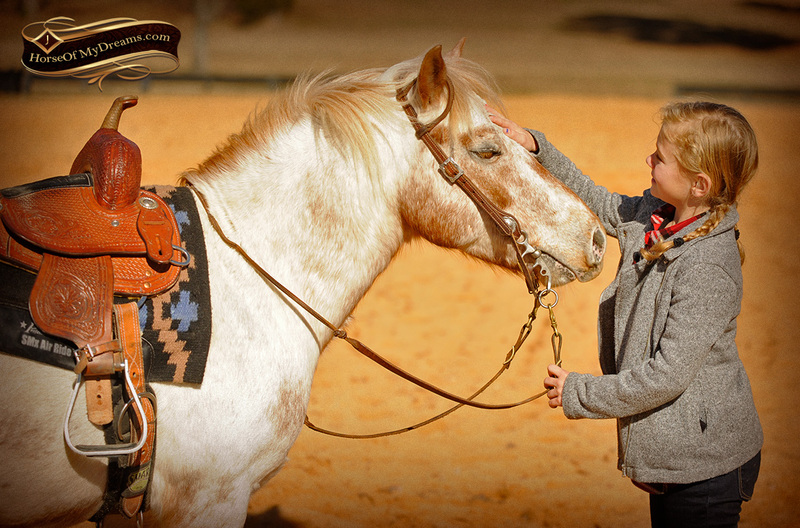 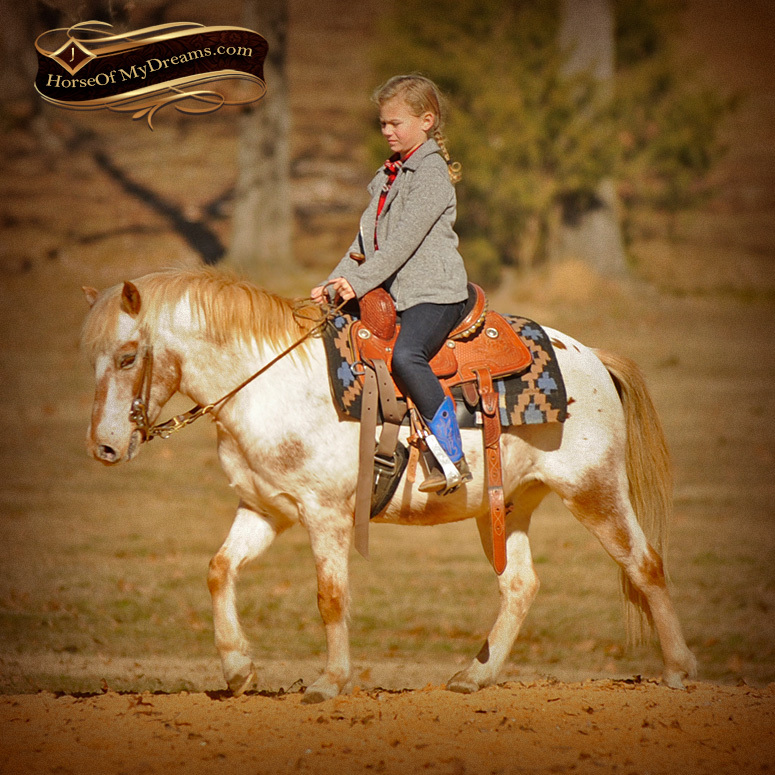 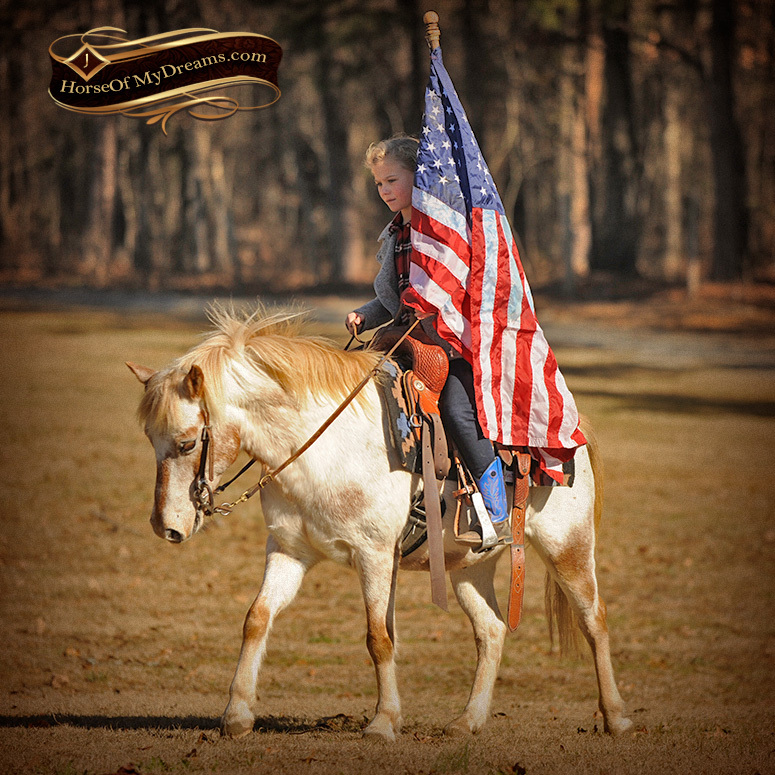 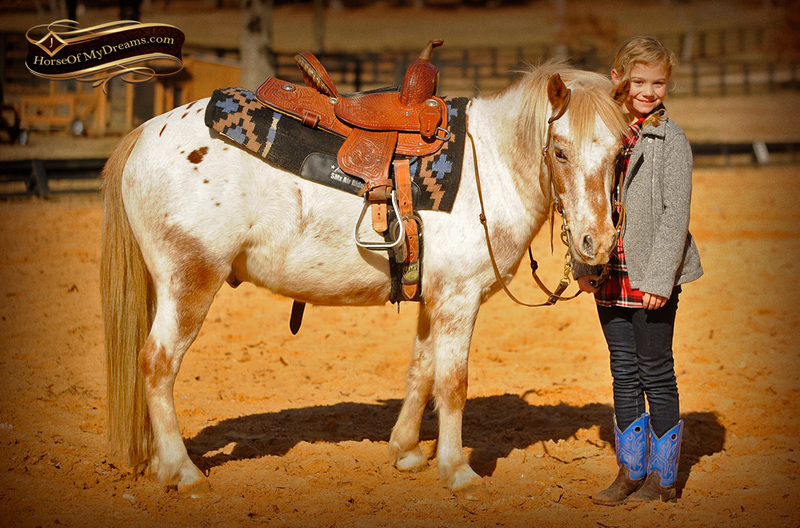 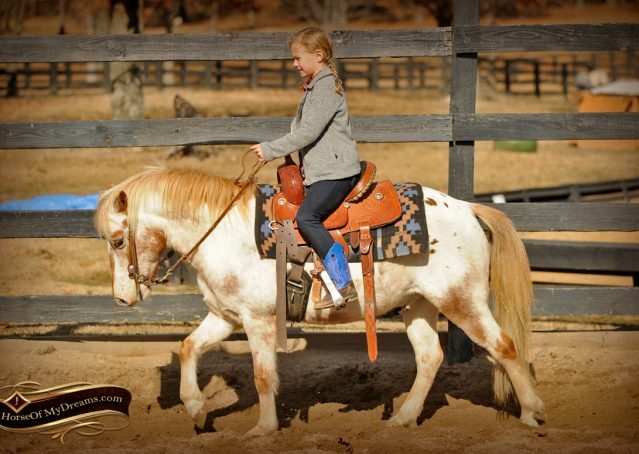 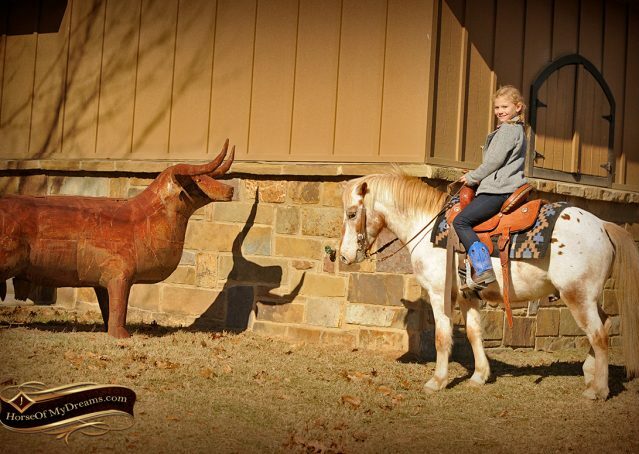 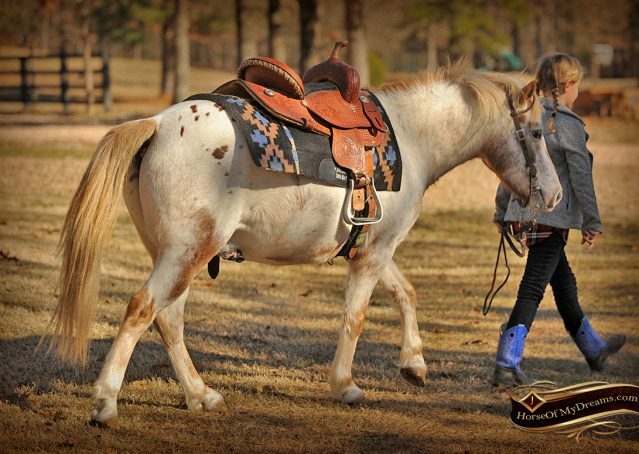 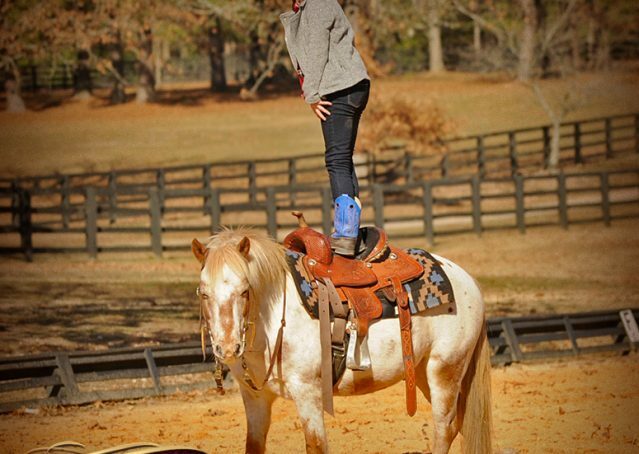 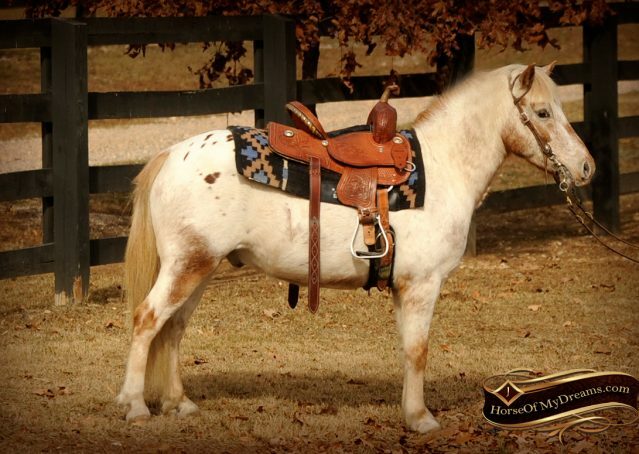 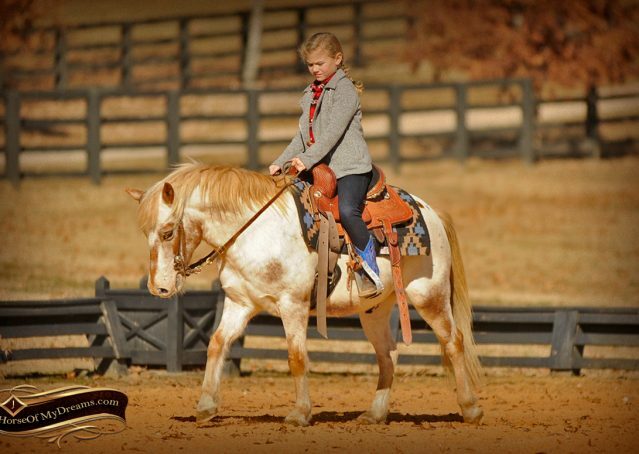 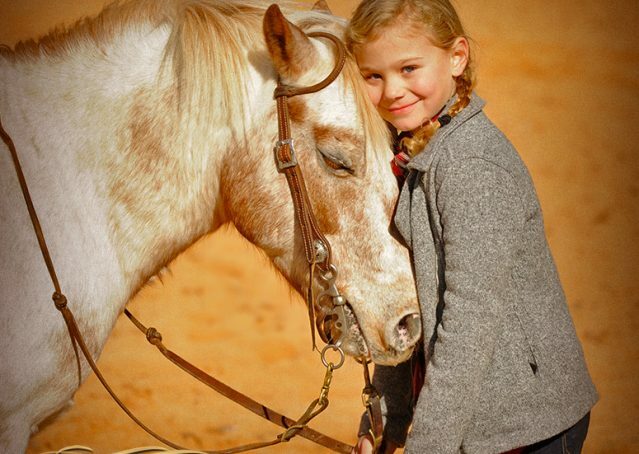 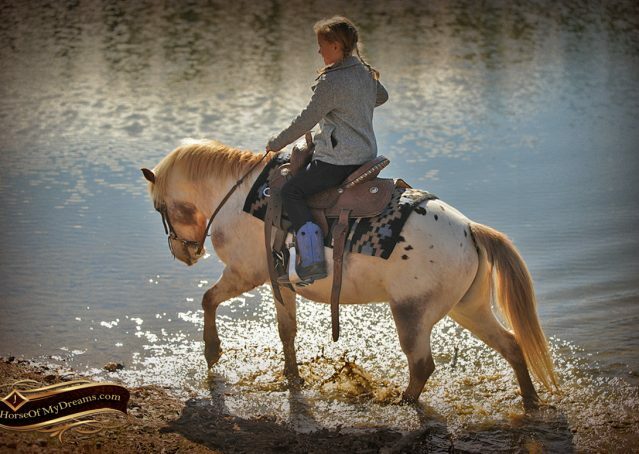 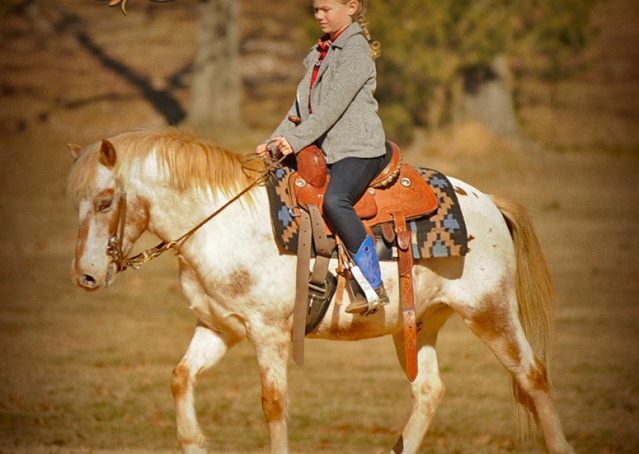 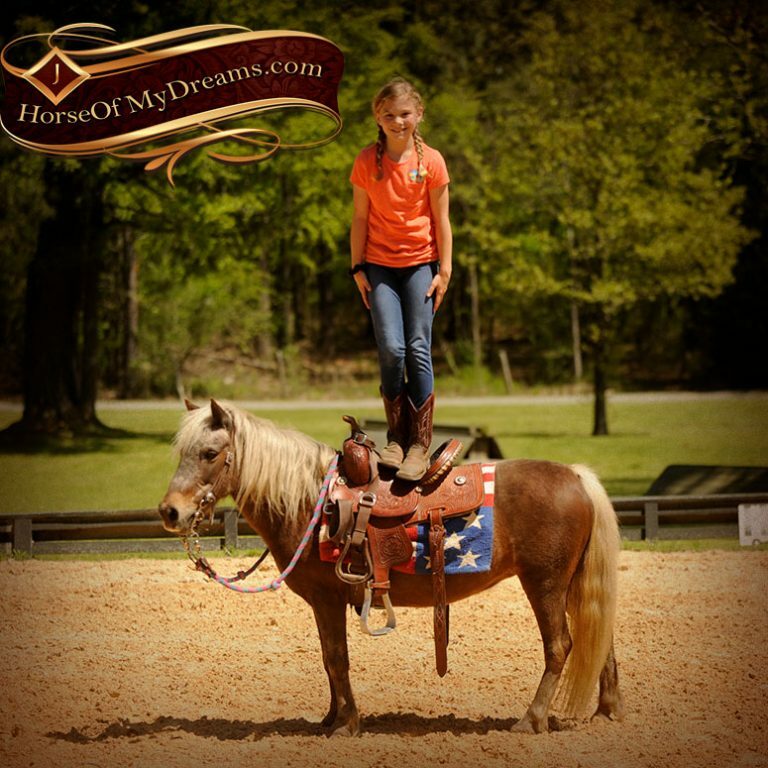 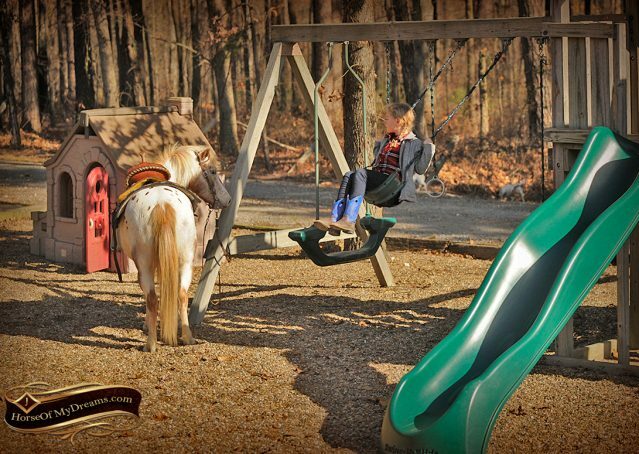 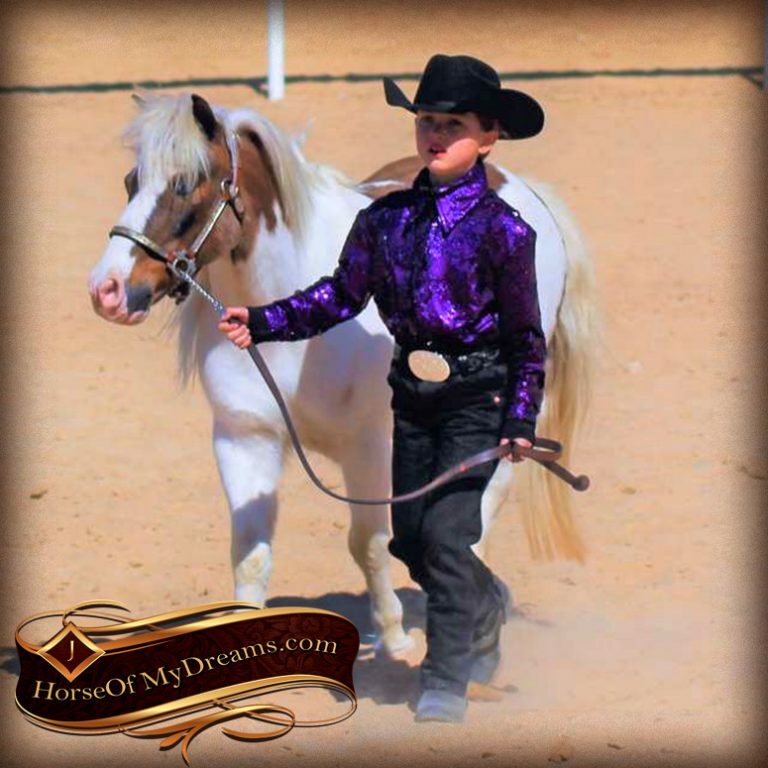 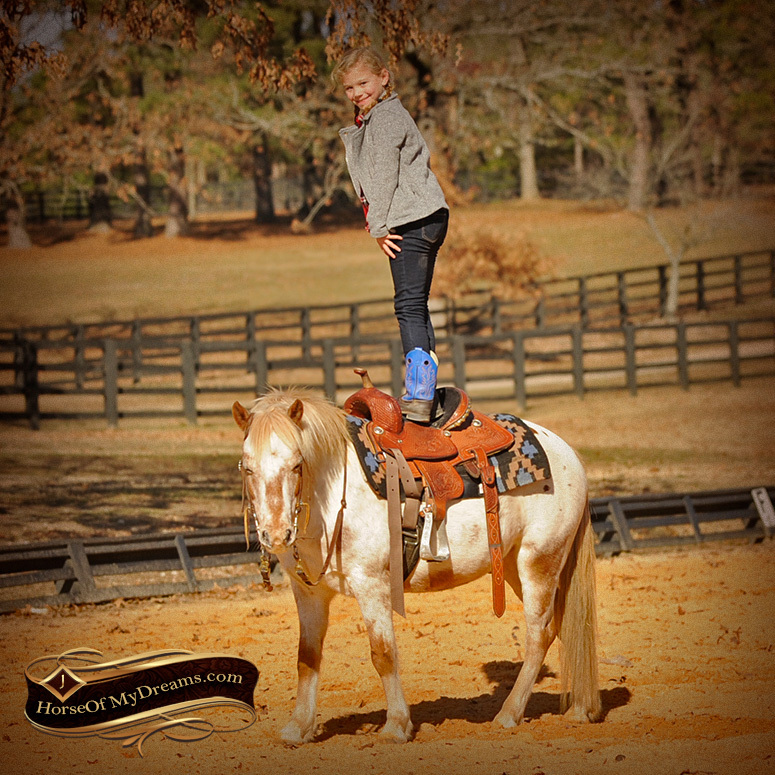 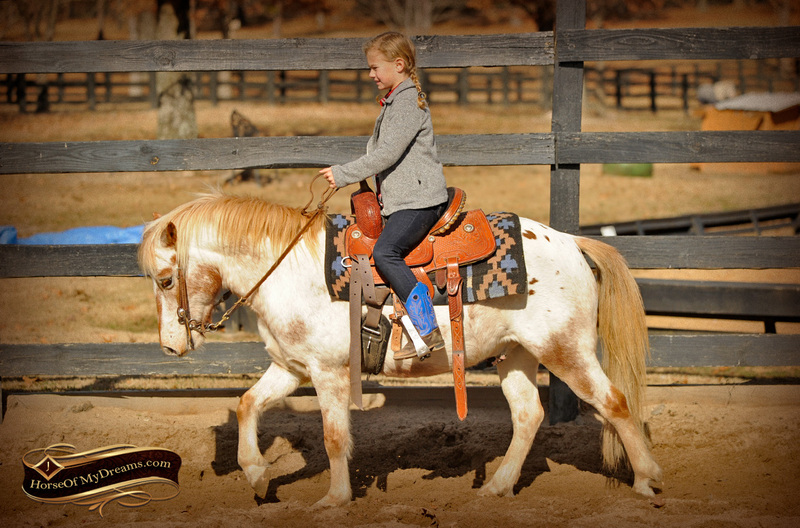 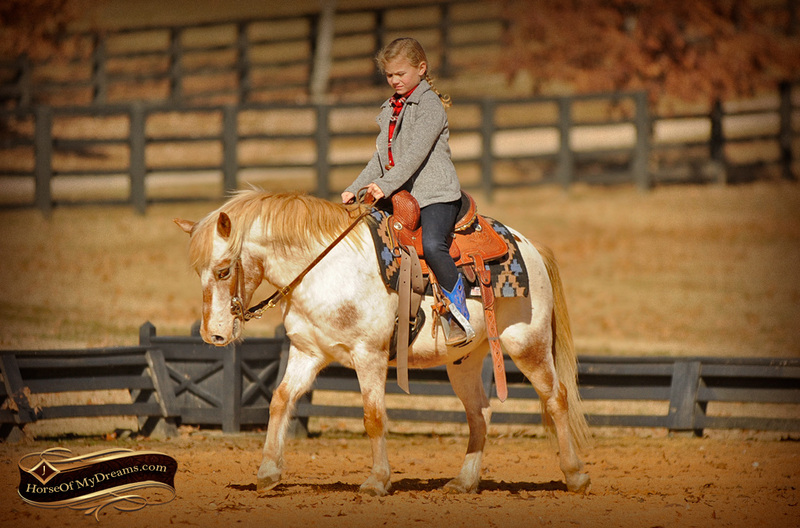 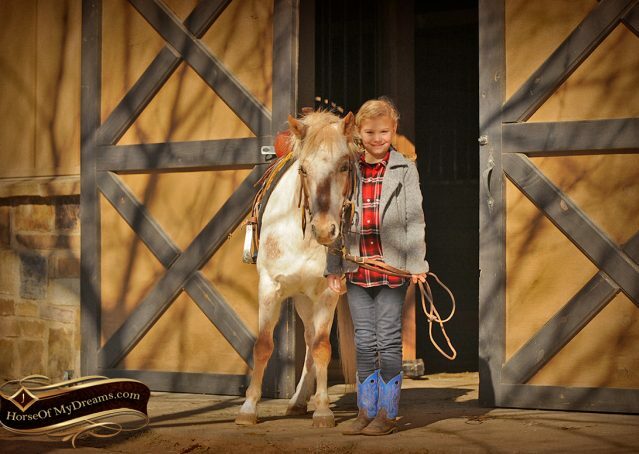 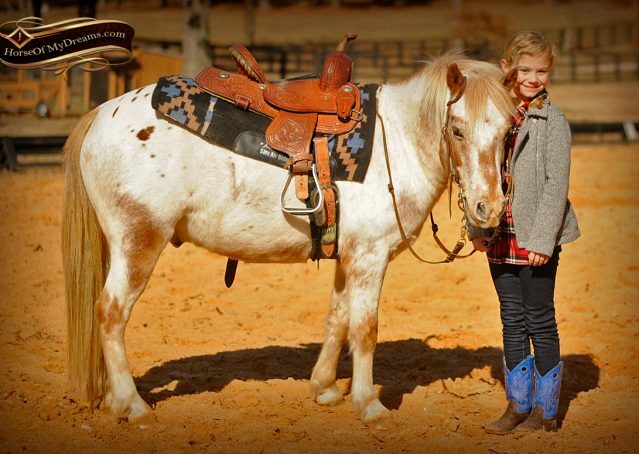 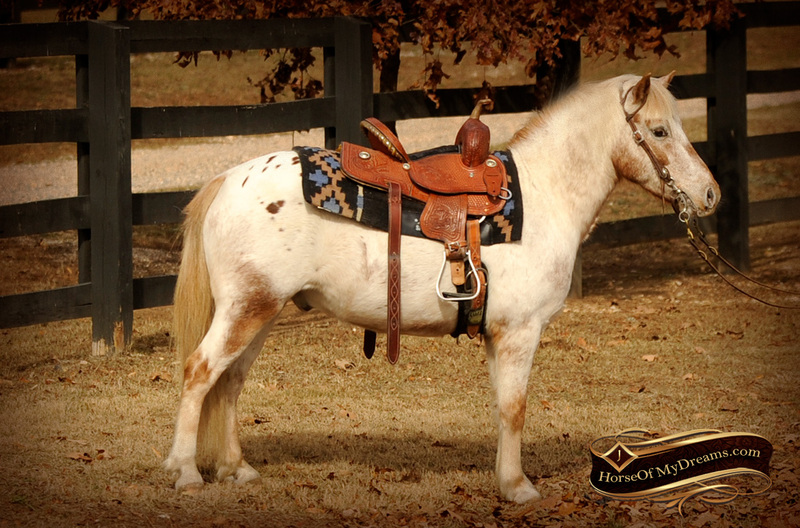 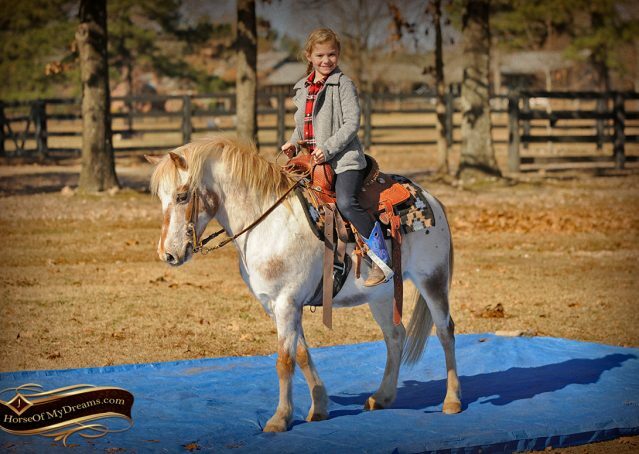 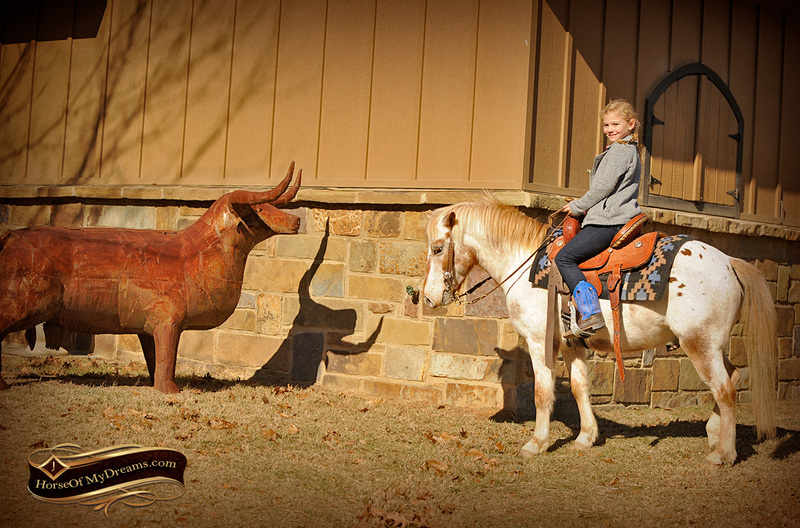 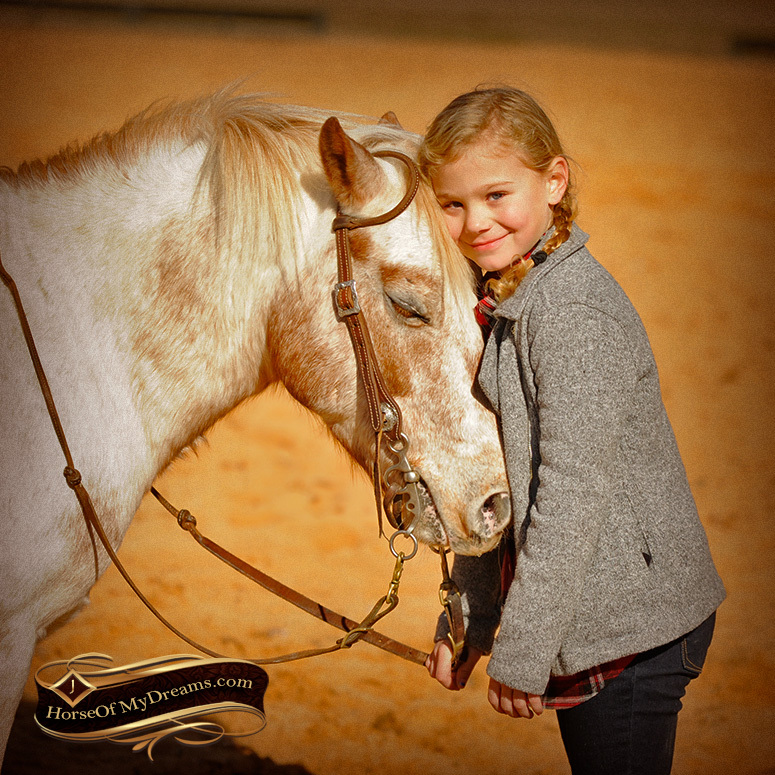 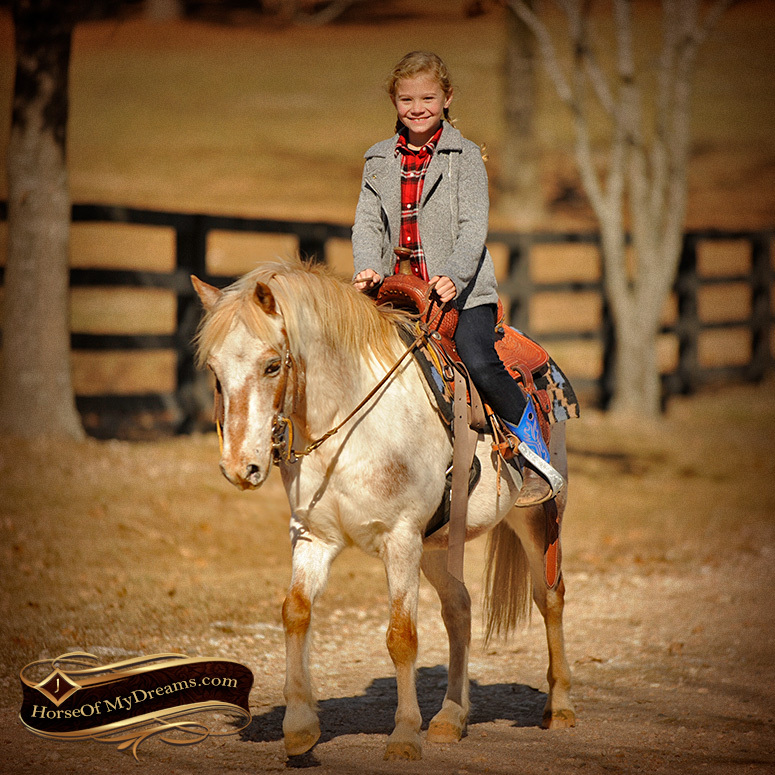 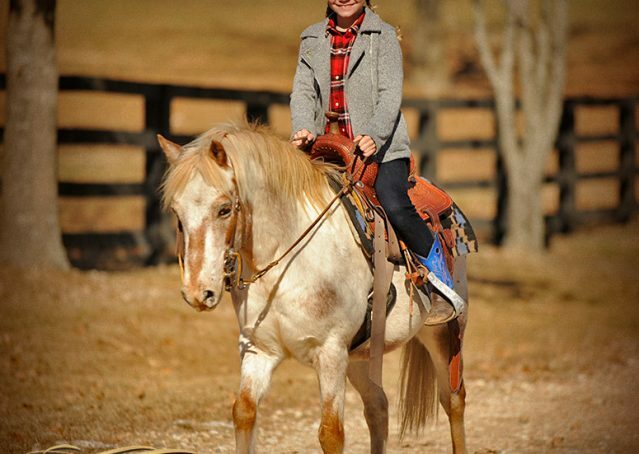 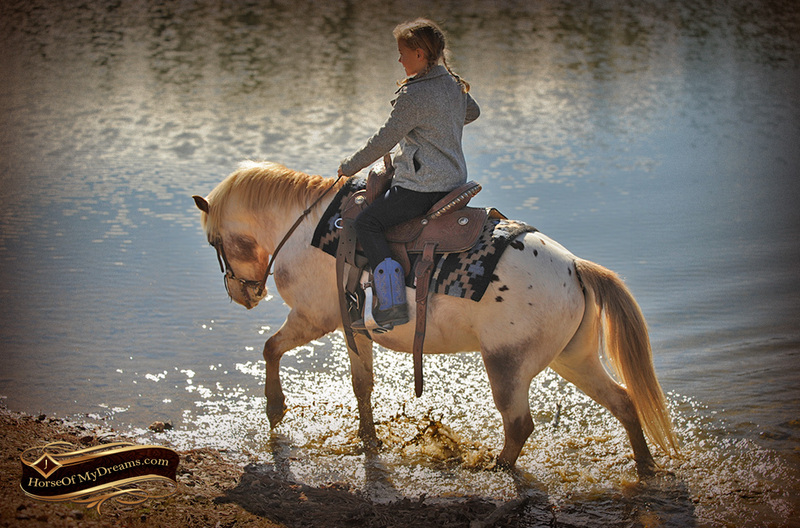 He has smooth, steady gaits and is perfect for kids to learn on and develop a strong seat. 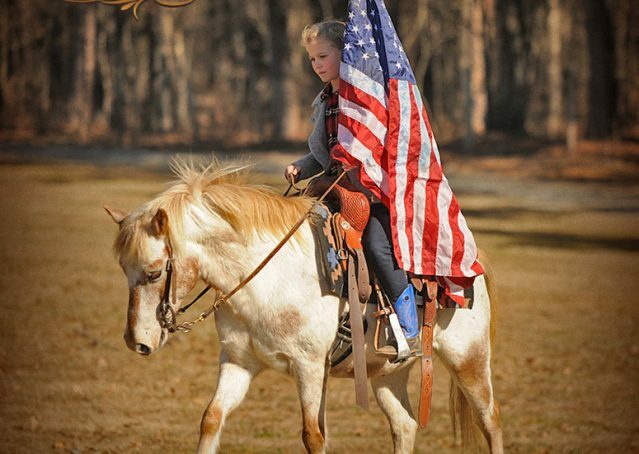 He’ll go through the water, carry a flag, over the tarps. 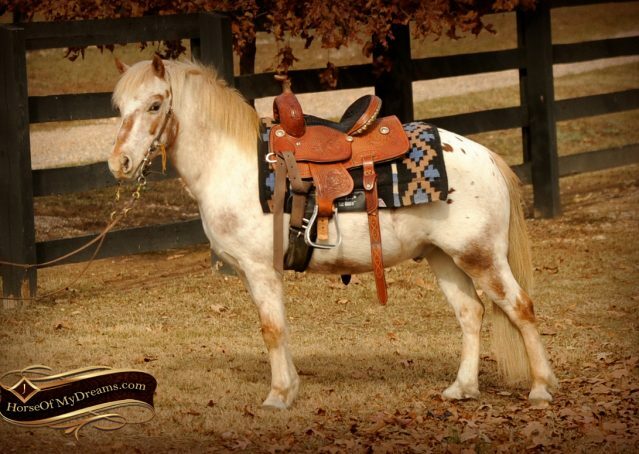 Scout not only has a great disposition, he has one of the most unique looks you’ll ever see in a pony. 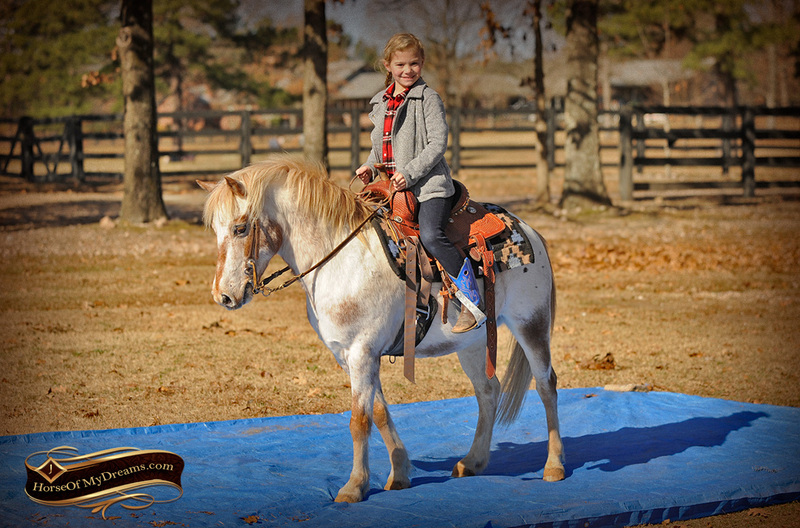 Scout is ready to make someone’s Christmas dreams come true!